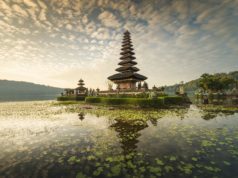 Bali, until the very current time, is still Indonesia’s most visited by tourists on big events, such as honeymoon and holiday. And still, number one searched in Bali are its beaches, like Kuta Beach and Sanur Beach, because those are what Bali is famous for, indeed. But, you seek unforgettable experiences from a holiday that you would want to pass them along proudly to everyone back at your hometown, don’t you? 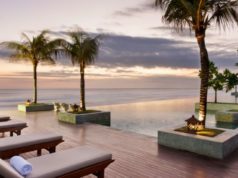 Here is the list of places to visit in Bali and what you can do there that you will not regret. 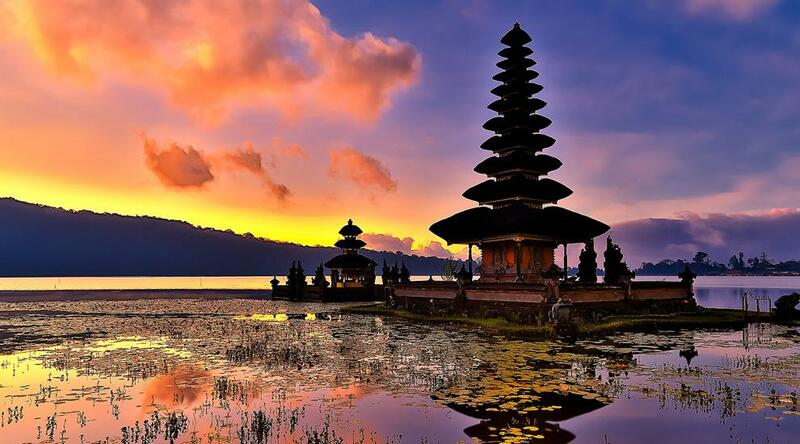 Devdan – Treasure of the Archipelago is a spectacular show in Bali. 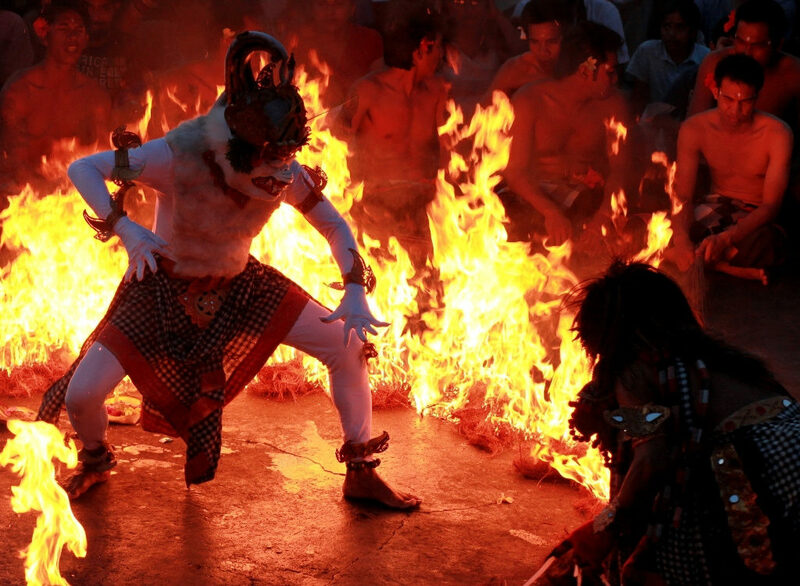 It shows the diversity of Indonesian cultures through a visual tour with high energy. It lets you see almost everything in Indonesia, from Bali to Sumatera, Java, Kalimantan, and even Papua without you setting off from where you are. Devdan Show has a combination between Indonesian traditional dances and modern-contemporary ones, between a world-class attraction and air acrobat, and of course eye-catching costumes matched with special high technology effect. For 90 minutes, you will be spoiled by a dynamic and entertaining show before your eyes. It is art, yet it is also nature. For you who are planning to go to Bali, the seat is able to be booked until three months prior. It is scheduled four times per week, but for your own good, make sure you have the ticket before you head to the premium complex theater at Nusa Dua, Bali. Monkey dance or, more famous as, Kecak Dance. The Uluwatu Temple offers you a mix of the art from Bali dance along with a picturesque scenery around Uluwatu Temple cliff, one of outstanding Bali cliffs. While watching the entertainment, you can also enjoy the beautiful sunset the nature gives you for free. Uluwatu Temple, which located at South Bali tourism area, is approximately 30 minutes ride away from Bali Airport Ngurah Rai. It is close to other tourist destinations in Bali, such as Garuda Wishnu Kencana (GWK), Dreamland Beach, Pandawa Beach, Padang-Padang Beach, Tanjung Benoa Water Sports, and Jimbaran Seafood. This one especially will be unforgettable. If you are going to go to Bali with family and even with kids, put Tabanan on your must-visit list. Why? Because you will experience how it is to plant rice, literally. Tabanan offers one hour workshop of rice farming. Depending on the season, you may plant, plough, harvest, and even mow rice by yourself at the paddy field. You can meet local farmers while becoming a farmer itself. Don’t worry about the heat under the sun; because you will be a semi-modern farmer instead a traditional one as sun cream is equipped during the one hour workshop. And also a camera, to capture every moment while learning rice plantation. This activity is senior friendly as well as kids from four until fifteen years old. They say we can do so many things as long as we surrounded directly by sea and ocean. And I suppose they’re right. This is quite unusual but you have to try it while you’re in Bali Island; sea walking, walk through the bottom of the ocean floor with seawalker. Seawalker is a system which allows you to dive deep down without a dive tank. You can breathe normally and sight-see a life you don’t get to see every day, unless you live in submarine. Lovina, or Lovina Beach, is located in North Bali, approximately 120 km away or three hours ride from Bali International Airport Ngurah Rai. The fact that is too sweet to be put aside is the word ‘lovina’ comes from combining two words: ‘love’ and ‘ina’. Ina is the short term of Indonesia. So Lovina means loving Indonesia. 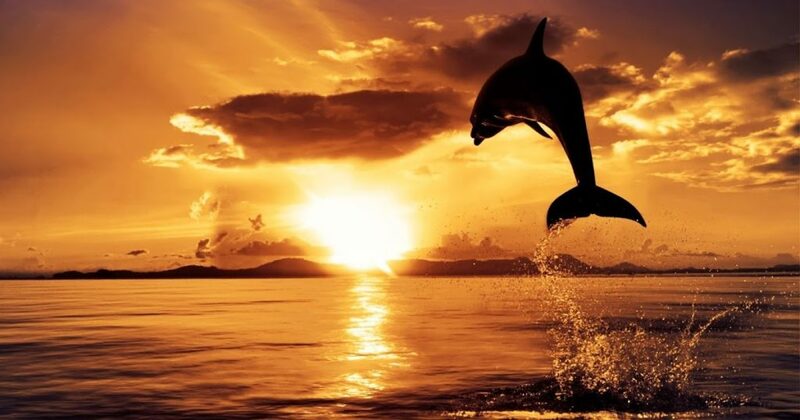 Lovina beach has natural attraction you can’t deny to enjoy: wild dolphins in action. But they are quite the morning creature, if you ask me, because they do not show up at the surface at any time. They swim high at 5 until 8 am by local time. So if you want to watch them perform, jumping around, and make you awe, please ready yourself at Lovina Beach around the time. Do not forget to tag along a camera with you. You absolutely want to memorize the show, right? 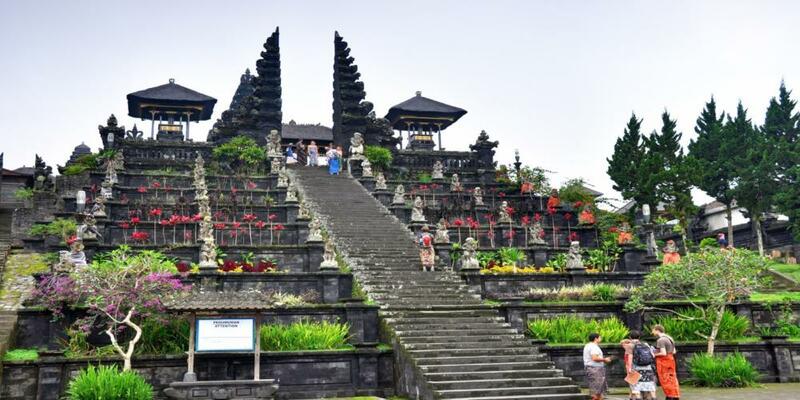 Ubud is a town in Ubud District, Gianyar Regency. It is one of Bali’s major arts and culture center. If you are crazy for art and culture history, then it is a perfect destination for you. 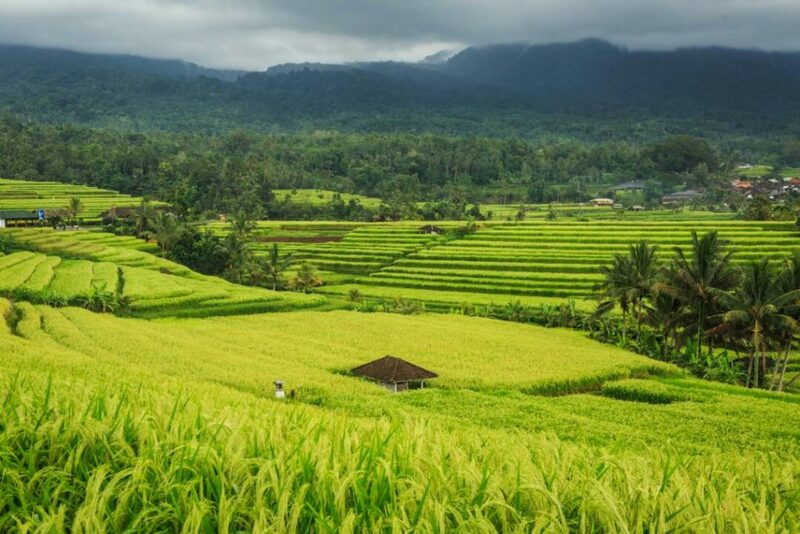 Go here and sign up for Bali Ubud Tour which is a full day journey to visit tourist destination in Ubud Village. So this is a whole package journey designed for you where you can just enjoy yourself on a holiday without being confuse of where to go next. Let them take you to: watch Barong Dance, a dance that tells you a story about the battle between Barong and Rangda; visit Celuk Village, a traditional village that produces gold and silver handicrafts; visit Batuan Village, where fine art handicrafts is being made; visit Tegenungan Waterfall, one of rare waterfall which not situated in the mountain; Tegallalang Rice Terrace, a beautiful place of rice terrace and small valley altogether that can make you drop your jaw. You can also—fascinatingly watch how monkeys interact with tourist at Monkey Forest, a small rain forest dwelt by monkeys and other tropical animals; take a walk in Ubud Royal Palace, a kingdom palace lived by Ubud King where Balinese traditional houses located; and last but not least, purchase art handicrafts and souvenirs at Ubud Art Market, a traditional art market in the center of Ubud Village. There. A complete tour within a day. 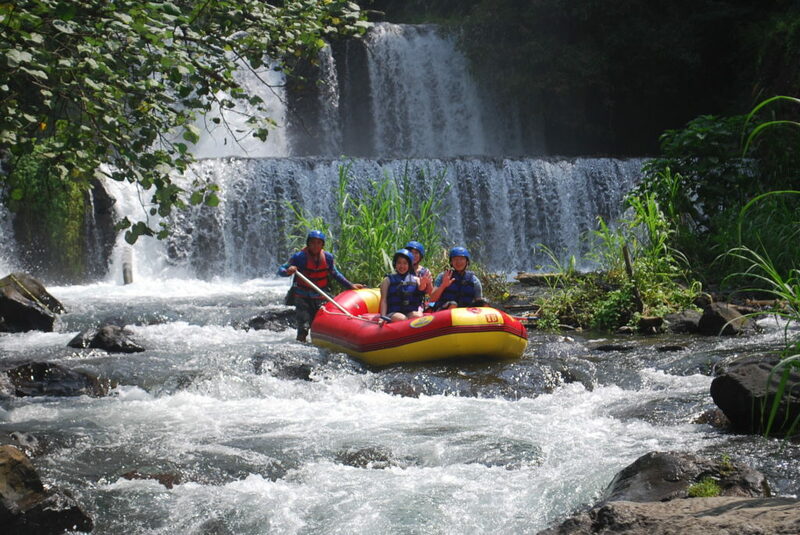 For you who like extreme sport and love water, rafting on Telaga Waja River is recommended. Telaga Waja River has the longest track from any other rafting river. You have to go through 16 km, equals to 2,5 until 3 hours raft ride, to finish the track. But I bet you will not regret it as the river and its surroundings offer you a breathtaking view. The water is as clear as crystal and the stream is more than suitable for rafting. The nature supplies a very breathable fresh air. Not to mention you will see the majestic Mount Agung at the north side of the river. This typical water sport requires the courage from participants at age 7 until 65 year-old range. And by the end of the track, after rafting for 3 hours long, you could take a rest and have a feast at a restaurant located in the middle of rice field. Perfect will of course be an understatement. 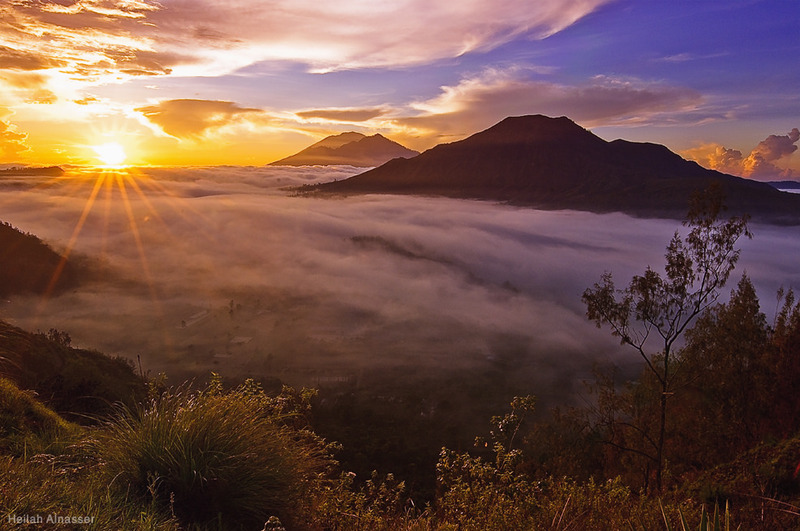 Mount Batur is located in Batur village, Kintamani District and is 1.717 m above sea level. It requires 2 hours to get to the top. By climbing Mount Batur, you can eventually enjoy an unforgettable sunrise of your life from the top of an active volcano. And things will get more exciting on the way back home from the climbing track. There is Bali Agrotourism you can stop by and collect more precious memories. Bali Agrotourism, or Traditional Bali Coffee Processing, serves you the making process of Balinese coffee in a very traditional way. And you can take a sample of each producing at the end of the process. Not only the normal Arabica coffee and herbal teas, but you can also take a sample of the most expensive coffee in the world, Luwak Coffee. Tasty! 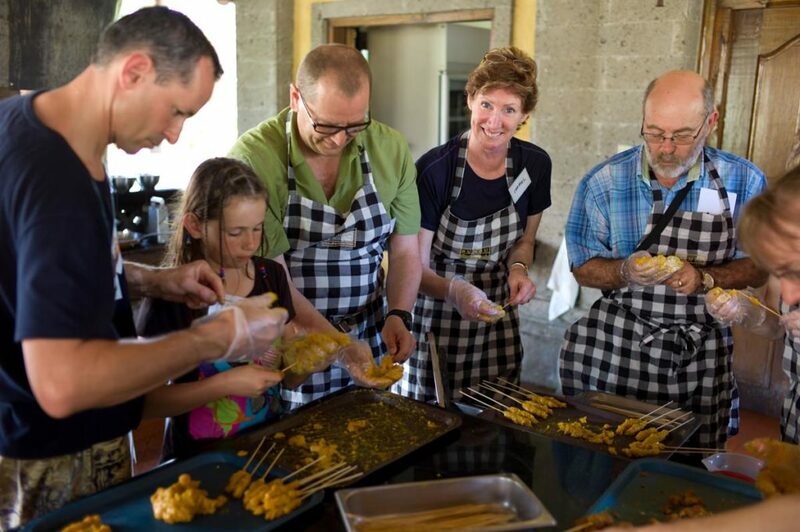 Here is how to make your holiday trip more memorable, learn how to make the local food you enjoy to eat wholeheartedly. In Bali, it is as simple as signing up for cooking class at Bumbu Bali. The course is available every Monday, Wednesday, and Friday. The class starts with morning visit to the local vegetables and fish market. There, you are taken to purchase the ingredients for the day’s program, from spices to the freshest seafood. You can also witness the rush and fuss of morning activities by locals which they eagerly finish before 8 am. The kitchen will not be entered until you collect fish at the beach and have breakfast. After that, you will have the most informative four hours in the kitchen before you take the final task of cooking the dishes that you have learned. Imagine you try your own cooking creation with the recipe from the master. How wonderful is that! Lastly, you will finish the class with Balinese coffee, black rice pudding, and creamy pumpkin cake. So, you have the list of places to visit in Bali and what you can enjoy there. The list of course can be expanded according to your preference. But all the same, wherever you go and whatever you do in Bali, the memories will stuck in your head for a long time. Even when you are already back at your hometown.